日本自動車デザインコーナー 「Japanese Car Design Corner」: Lexus to unveil LF-Gh concept at New York Auto Show!!! 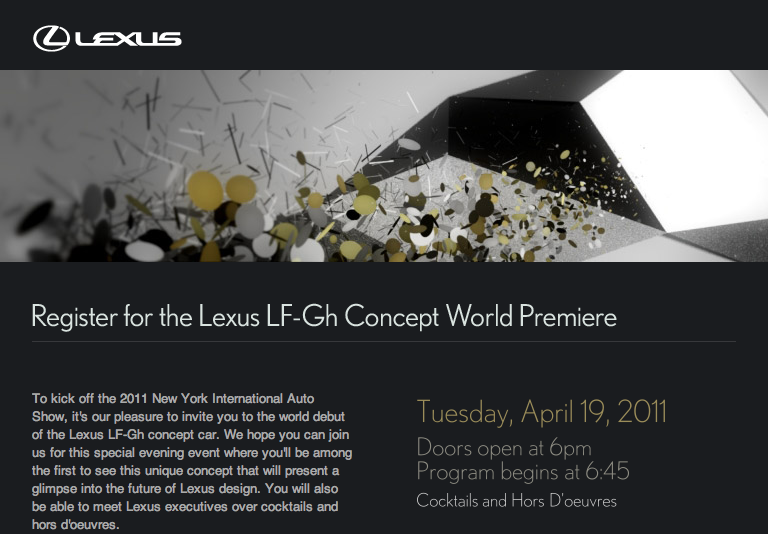 Lexus to unveil LF-Gh concept at New York Auto Show!!! Lexus is already working on the GS successor (earlier post) and a lot of renderings have been published by Japanese magazines. A concept called LF-Gh will be presented at the 2011 New York Auto Show, on April 19th, and I presume it will be an indication of how the new GS will look like. According to Lexus, “LF-Gh: LF = Lexus Future. h = hybrid. G = ...”. Nissan GT-R Concept (2001) scale model arrived!